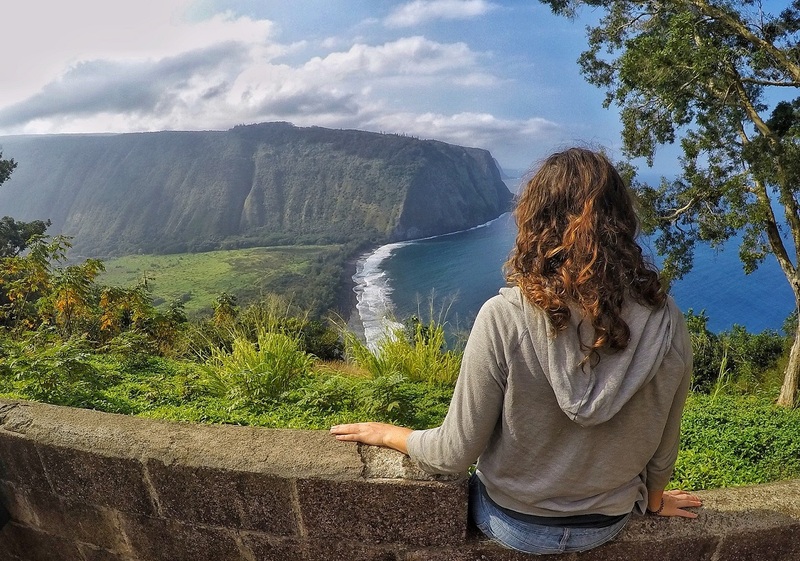 The Island of Hawaii is the largest and third most visited of the Hawaiian Islands, behind Oahu and Maui, with 1.4 million visitors a year. It is less developed than its neighbor island of Maui. If you enjoy the outdoors, raw nature, and of course volcanoes, the “Big Island” is a great place to visit. 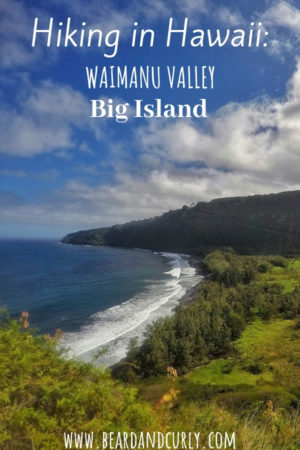 There are many hikes and Waimanu Valley is one of the best. 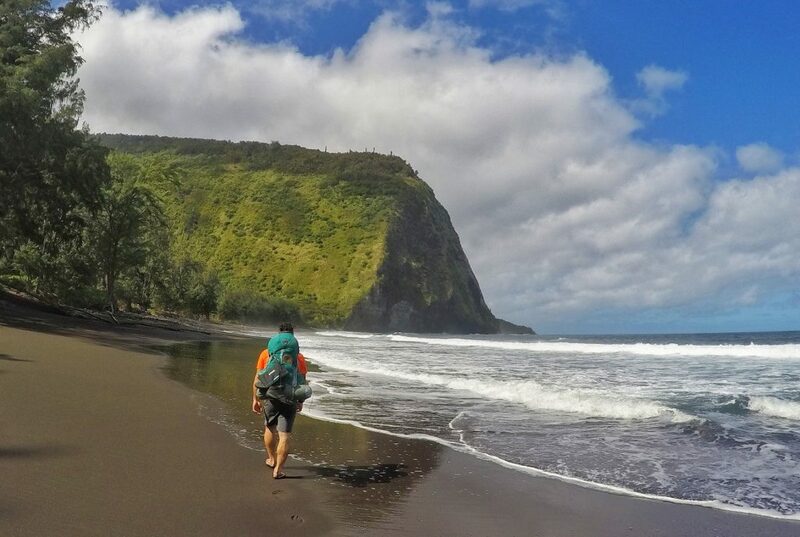 The rugged part of the north coast of Hawaii offers solitude, challenging hiking, and an exceptional reward. Waimanu Valley has stunning views, a gorgeous black sand beach, and the third tallest continuous waterfalls in Hawaii and the thirteenth highest in the World at 2,600 feet, the Waihīlau Falls. 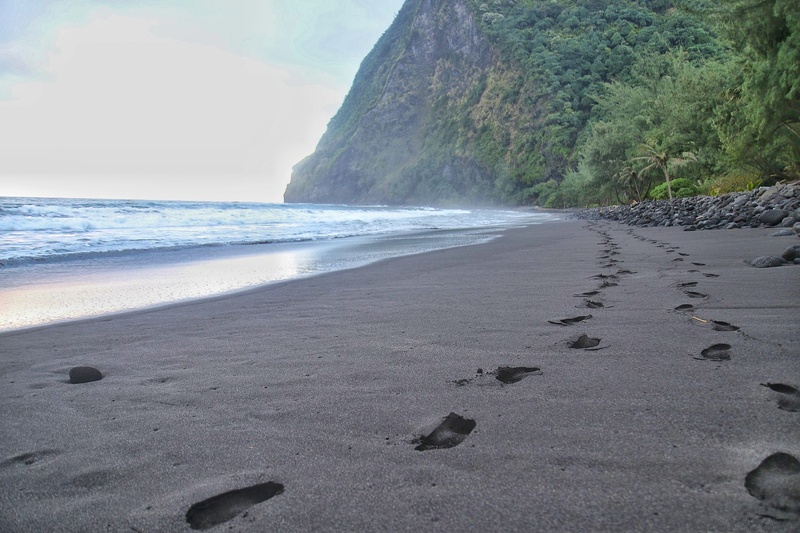 The Muliwai Trail is an in and out hike starting from Waipi’o Beach. The hike begins with a river crossing at the Waipi’o stream. Head to the end of the beach, where there are trail signs designating the start of the trail. From here there is a steep trail, called the Z Trail, all the way to the top of the mountain. This 1,200-foot ascent is fully exposed. From the top, the next 5-6 miles is through forested land that enters 12 smaller gulches. 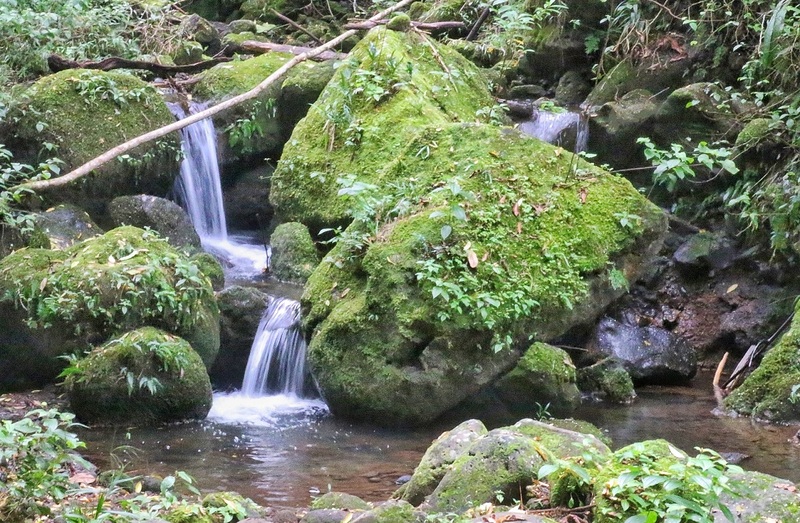 There are several small water streams to cross while hiking on the high trail. These streams are typically small and easy to cross, however with heavy rains, can become very slippery and difficult to manage. Plenty of water sources, but don’t forget to filter! The last mile and half is a very steep descent of 1,300 feet into Waimanu Valley. It is more challenging than the Z trail up from Waipi’o Valley. This section is minimally maintained and eroded in places. Due to lots of rainfall in the area, it is commonly very muddy and slippery. Use caution when descending into the valley. At the bottom of the valley, there is one last river crossing, which is typically the deepest crossing, between 2-3 feet. Campsites are clearly marked along the beach with trails connecting each site. 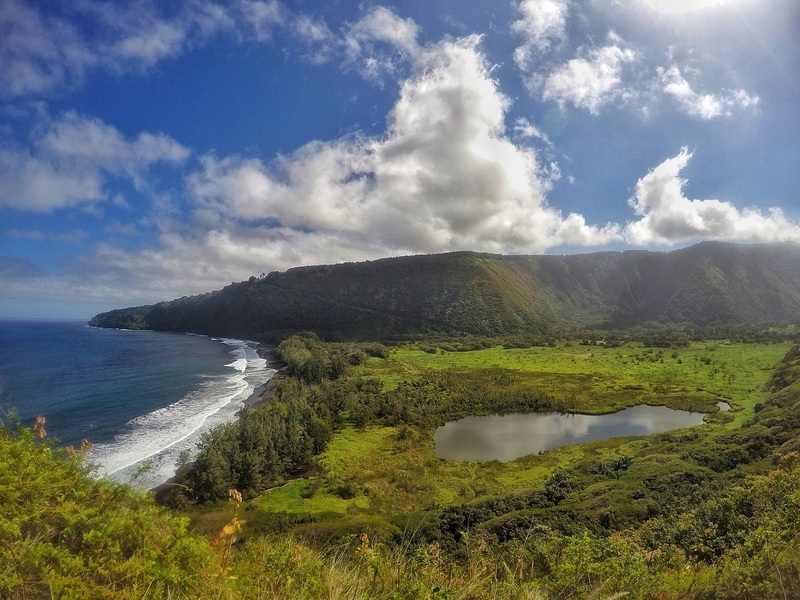 The hike starts from Waipi’o Valley, a 90-minute drive from Kona. 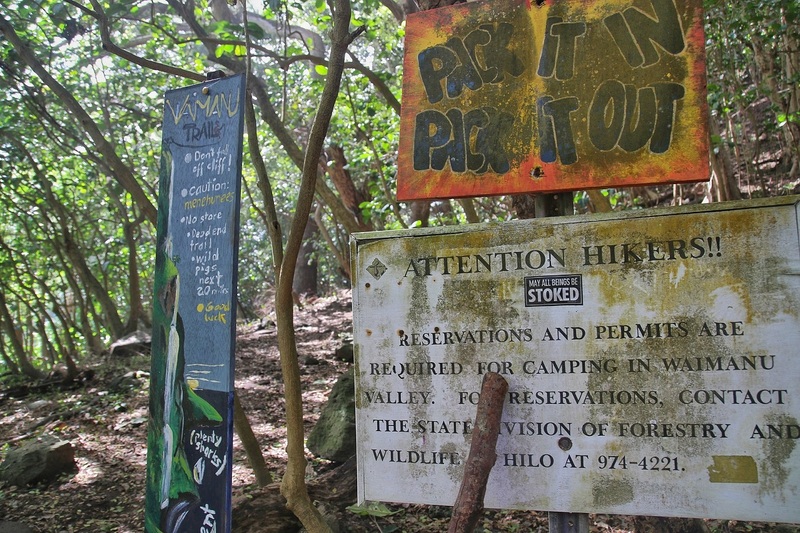 Overnight car parking is near the overlook at Waipi’o Valley Artwork. Parking costs $20 per day (i.e. $40 for an overnight hike). 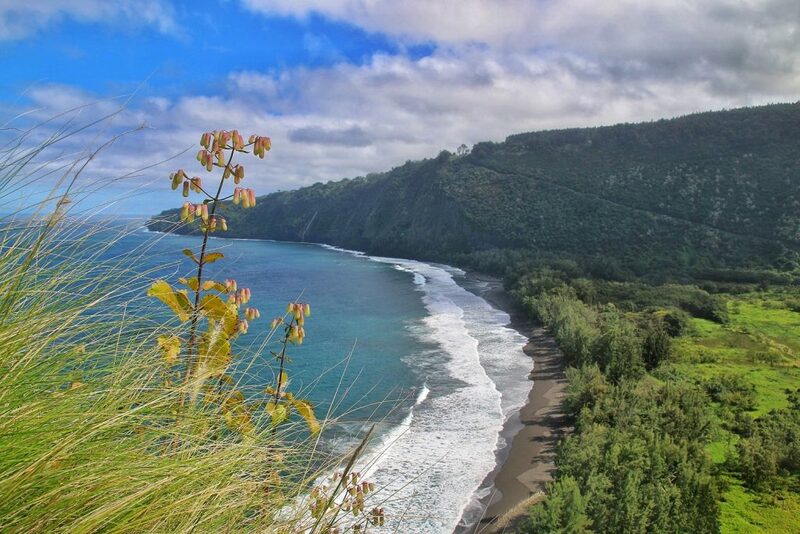 From the overlook, there is a 4×4 required road which is extremely steep and descends down into Waipi’o Valley. Hitch a ride down to the beach or walk down, roughly a mile and a half. 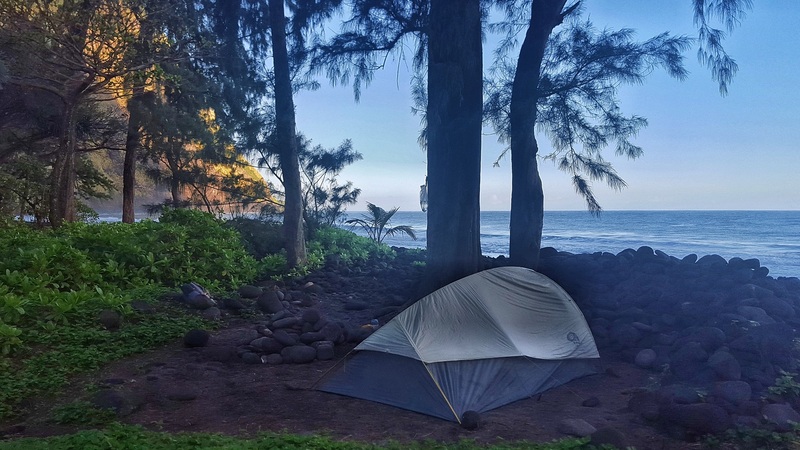 Permits are required to camp overnight at one of the nine Waimanu campsites. Each site can hold a different amount of campers, with three small, two medium, and four large campsites. For more on reservations and permit information, go to Hawaii Camping & Wiki Permits. Check our post on Packing List for Round the World Trip for more details on packing lists and specific brands we recommend. 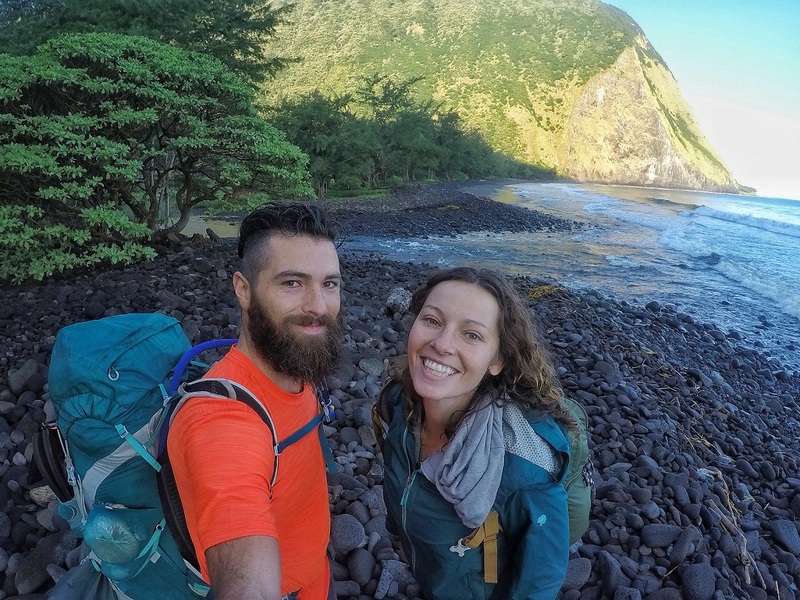 Check weather reports before attempting this hike. Rainfall exceeds 100 inches annually on this part of the island. Be careful at all water crossings, flash floods occur. Crossings can be fatal. The trail is not maintained well and can get very muddy and slippery especially when wet. Bring proper footwear. Bring enough water to start the hike. Replenish at one of the several water crossings. 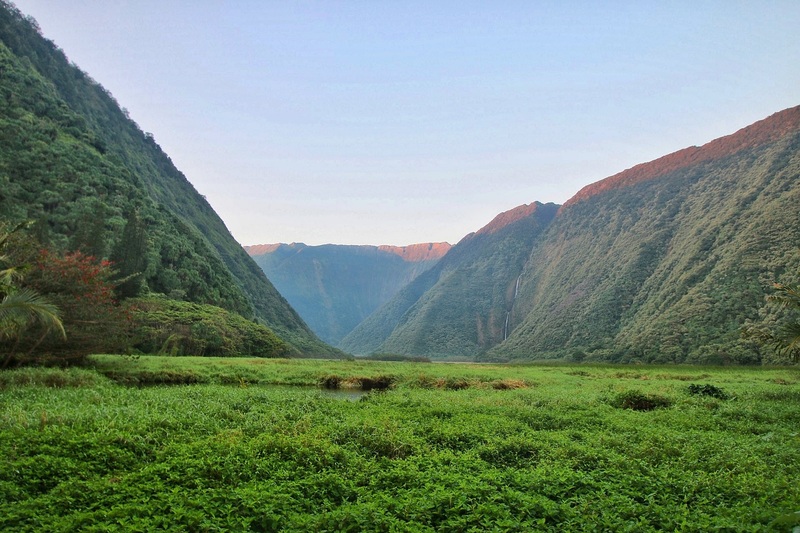 There are two proper river crossings, one in Waipi’o and one in Waimanu. Good strap sandals may help. There is minimal cell phone coverage after the lookout. ALWAYS filter and treat water!